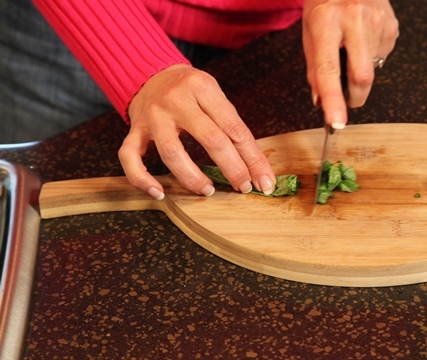 Want to learn the simple technique for slicing fresh basil? Wash the basil and pat dry. Remove the stems and stack the leaves on top of each other. 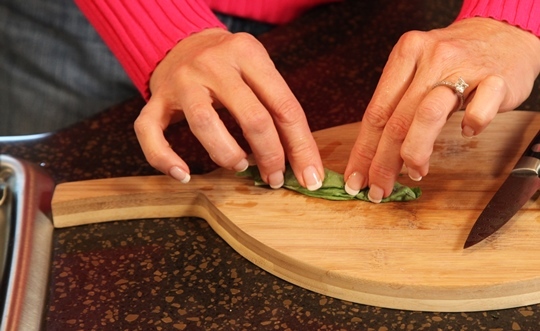 Gently roll the leaves up into a tight cylinder. Continue rolling until you have a tight cylinder. Next, slice them into thin slices that will create those ribbons. 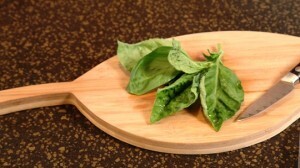 Fresh basil adds a wonderful flavor and aroma to your dishes. It’s best to either add it at the very end of the cooking time or just sprinkle it over each plate just before serving. This technique also works well with fresh mint leaves or fresh spinach.